Hey there friends! I wanted to share a quick little DIY project with you that takes no time at all and can make such a cute little statement in your bathroom or kitchen. I have had these bathroom hand towels for a while and wanted to make them a little more punchy and styled up. I used this leftover Pom-Pom trim from another project and I thought this would be the perfect little touch in our guest bathroom. 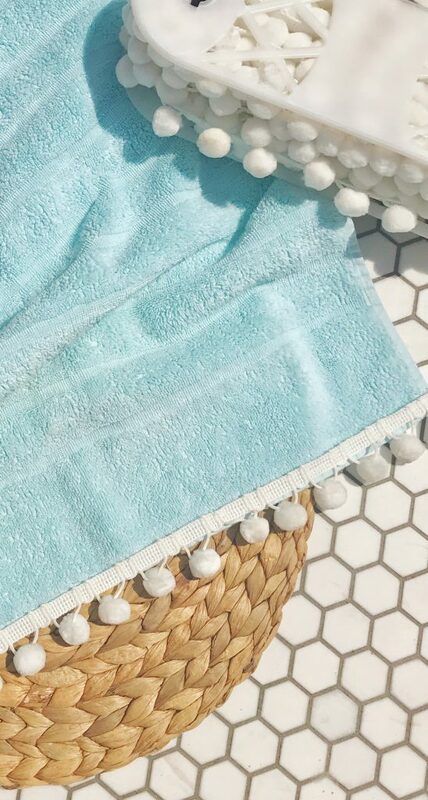 Sometimes we have good towels, they just need a little something! You know what I mean? 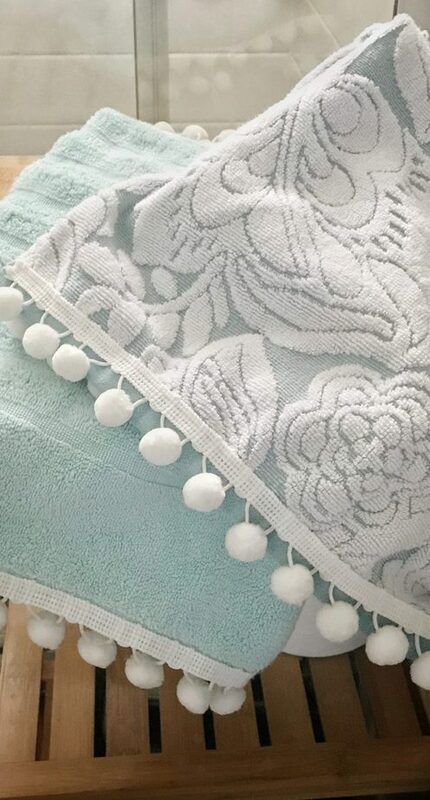 So, here’s how to make your own inexpensive pom-pom trimmed towel. I used a sewing machine and it literally took me 2 minutes to sew the trim, but you could also use a permanent fabric glue. This is the pom-pom trim I got. I have washed mine and the trim holds up just fine, even out of the dryer. It’s easy to go to home goods or online to purchase a set of inexpensive but nice cotton hand towels and punch them up with this effect. 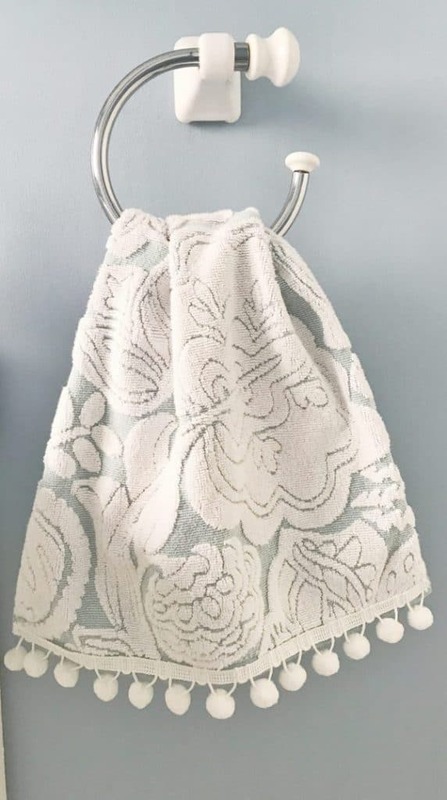 I am also thinking of trying this with a tassel trim. So cute! ok guys so literally this project has two steps! Measure and cut your trim to fit your towel. Make sure not to pull the trim too much! You want it to be relaxed, not stretched. Carefully sew your trim on each side of the towel. 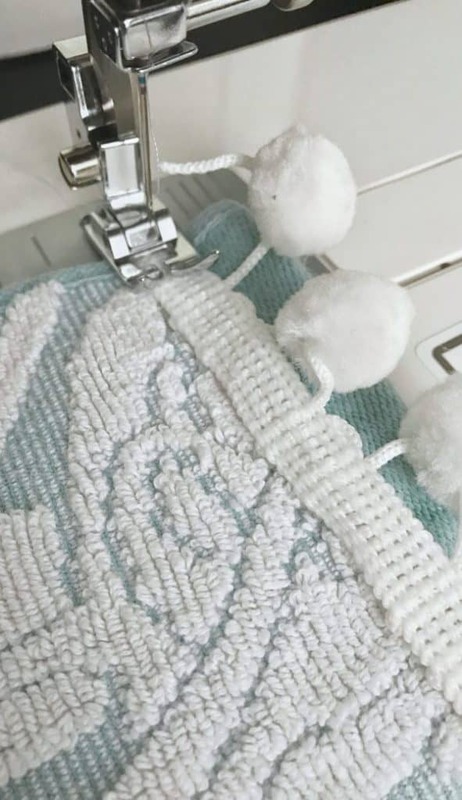 If you find the towel is too thick on the trim part, you can move the pom-pom trim slightly up, which I did on one of my towels. This way it wasn’t too thick to sew through. But really, there is no right or wrong way to do this. You could even add a couple layers of trim or put the trim three quarters of the way down on the towel. Whatever you feel looks best! Voila! Time to display your new hand towel! They sell Pom-Pom trim in different sizes and colors so the possibilities are endless. Thanks for reading guys! 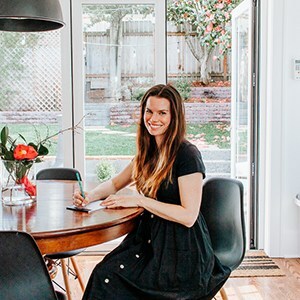 And if you are looking for more DIY projects – check out my DIY category page!